Jowett Cars Ltd of Bradford, England, manufactured light cars and commercial vehicles from 1906 to 1954. 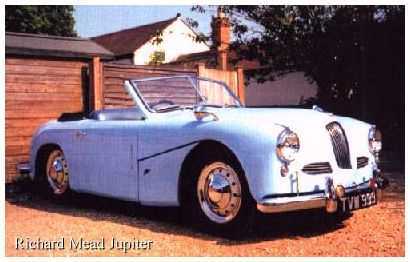 Jowett Jupiter sports cars were built from 1950 to 1954 all of which were powered by a Jowett-designed 1486cc flat four pushrod engine of 60-62BHP in standard form. 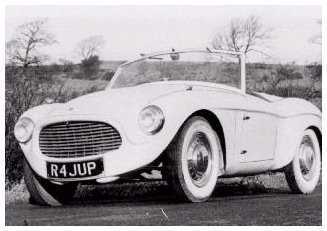 Most Jupiters constructed were the aluminium-bodied Mk1 (731) and the Mk1a (94). A further 75 fully equipped Jupiter rolling chassis were sold to specialist coachbuilders like Stabilimenti Farina, Gebruder Beutler, Ghia Suisse, Richard Mead, Abbott of Farnham, to name but five. The Factory built three sports-racing R1-type Jupiters for the Le Mans 24-hour races of 1951 and 1952 to capitalise on the standard Jupiter's class win at that race in 1950. During 1953 three R4-type Jupiters were designed and built on a quite different chassis to take Jowett into the mid fifties and beyond. Bodywork was to be in a plastic-resin laminate. The Jupiter car did not disgrace itself in national and international competition - rallies and races - during its production life and beyond. 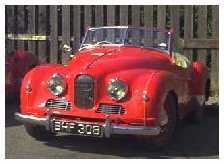 Historic races, rallies and concours d'elegances continue to provide happy hunting grounds for Jowett Jupiters. The R4 Jupiter attracted a lot of attention at the 1953 London Motor Show where it was the cheapest 100mph car exhibited. The Jupiter R4 still looks good today. The Factory closed before it could be raced by the Works, but one example had three good seasons 1954-1957 in private hands. It could generally lap the Silverstone Club circuit faster than any 1500cc MGA. Six Richard Mead Jupiters were built. Four survive in good order (one in new Zealand), with one completing a full restoration in 2012. The example shown here was restored to a very high standard. The maroon example was Marcel Becquart's Monte Carlo Rally entrant of 1952 and 1953. His Class 2nd overall 5th in the1952 event is Jowetts best placing in this rally. With it he achieved the highest place for any Jowett in the general classification of the Monte: fifth. 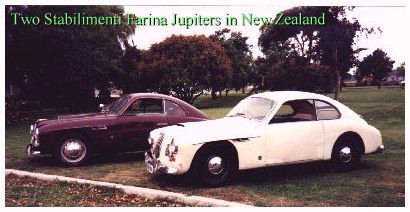 For more on the Farina Jupiters click here.